Summer in Michigan is just the best, right? After the brutal cold of this past winter (we haven’t yet forgotten, not even in this temperate July), it’s nice to be able to get out and breathe in fresh, sunshine-scented air (yes, sunshine has a smell). Your furry friend feels the same way you do! My two puppies were so happy when the weather warmed up and they were able to run races and romp around in the grass. Are you and your dog looking for a change of scenery, but not willing to shell out a bunch of money? I’m finding out that Metro Detroit is a fantastic place to be a dog owner on a budget. Photograph by Michael Gil. Used under CCL 2.0. Paint Creek Trail in Oakland County, Dodge Park in Macomb County (Sterling Heights), and Rotary Park in Wayne County (Livonia) are great places to take a long wooded walk with your dog, absolutely free of charge! Sometimes it’s nice to get out of the regular neighborhood and let your pup smell, see, and experience new things. Please note that your dog must remain on a leash, though. 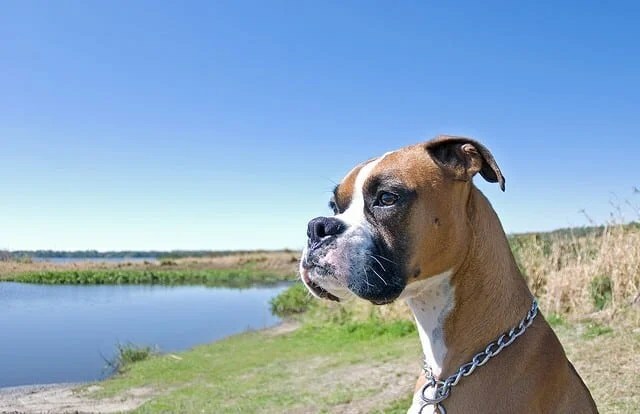 Orion Oaks Dog Park in Lake Orion offers a ton of activities for your adventurous puppy, including trails, a picnic shelter, drinking water, and a lake for swimming. 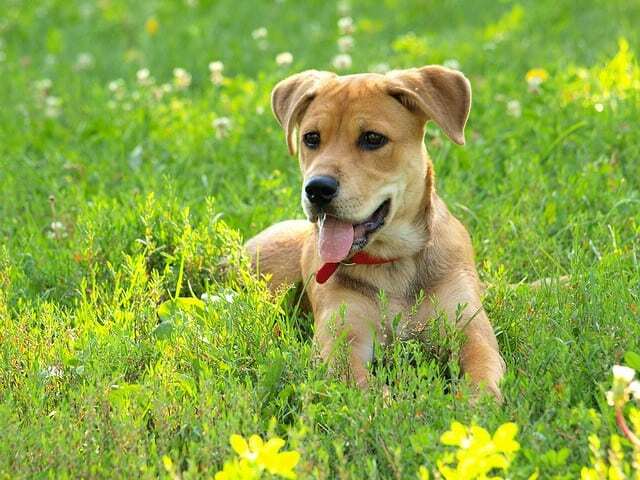 It costs $5/day for Oakland County Residents and $10/day for non-residents, but well worth it if your dog loves to play and socialize with other dogs off leash. In Wayne County, the dog park at Hawthorne Ridge Park in Westland is one of the more affordable dog parks – just $20 per year for residents and $25 for non-residents. You can get registered at the Nankin Mills building on Ann Arbor Trail in Westland. Detroit proper also offers a few dog parks including the Grand Circus dog park downtown, one at Macomb Park near Michigan Central Station in Corktown, and one in Midtown at the southwest corner of Canfield and Cass. The city also has a vibrant collection of dog-friendly bars. Canine to Five, a dog day care and boarding facility with locations in Midtown Detroit and Ferndale, is committed to building a supportive community of dog owners in the area. Riverfront Canine Club meets each Sunday at 10:30am for a scenic pack walk along the riverfront – this gives pups valuable socialization skills and connects dog lovers from around the metro area. Canine to Five also hosts pack walks at their Ferndale location. All pack walks are free! You can also join the Canine to Five community for Drinking With Dogs, a chance for dogs and their owners to socialize at pet-friendly restaurants in the area. Admission is free – but you’re responsible for buying your food and drinks, so the budget is up to you. Just make sure your canid friend gets home safe, and never let a dog drive a car under the influence (or any other time, for that matter). Search around for informal dog clubs on social media – you’re likely to find several people in your area that frequent the same parks each week, with no official group formed, but lots of people who love dogs as much as you do. Photo by Kyle May. Used under CCL 2.0. The mother lode of dog-friendly retailers can be found at The Mall at Partridge Creek. Take your (leashed) pup there for a leisurely stroll and visit Three Dog Bakery, or wander in and out of pet-friendly stores such as Coach, Victoria’s Secret, and Moosejaw. They even have water bowls throughout the mall and easily-spotted waste disposal stations. The main shopping district in Birmingham is also pet-friendly, with several events sponsored throughout the years. 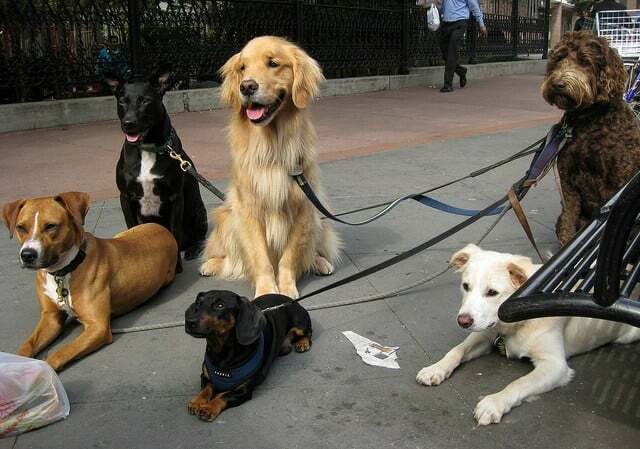 Leashed, well-mannered dogs are welcome in the outdoor areas, and some stores allow you to browse with your pup. You can also shop with your pup at Bright Ideas Furniture in Royal Oak, and downtown Rochester has announced that 19 stores are going to be pet-friendly! Several major chain stores, such as Home Depot, Macy’s, and Pottery Barn also have policies that allow dogs, but they leave it up to the individual store managers to decide whether your pal is allowed to shop with you. If you know of any other pet-friendly adventures in Metro Detroit, please let us know! In the meantime, make sure you include your pup on your next outing – dogs like field trips, too! Janelle Witting manages social media for Michigan First Credit Union, connecting important financial issues with the realities of day-to-day life. When she’s not filling her head with useless trivia, you can find her reading books, watching dorky television, pretending to work out, or playing with her perfect dogs. Tagged Detroit dog parks, dog events, dog parks, dog-friendly bars, dog-friendly retailers, dogs, Michigan dog parks, michigan dogs, Michigan summer.